Our Westwater Canyon whitewater river rafting trip takes us down a segment of the Colorado River that is magnificent and often referred to as a miniature Grand Canyon. The beauty and grandeur of this section on the Colorado River offer memorable sights such as pristine beaches, charming side canyons, and beautiful campsites. 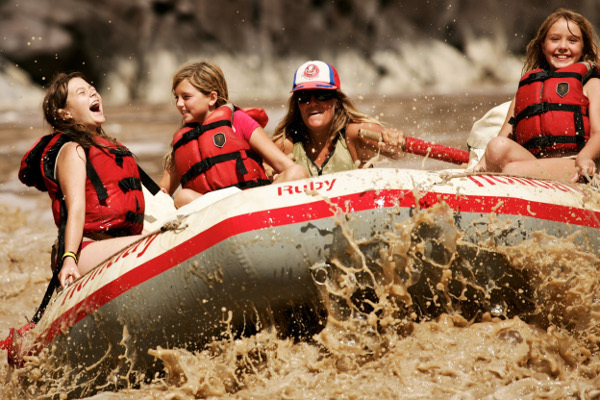 Colorado River rafting doesn't get much better than this! 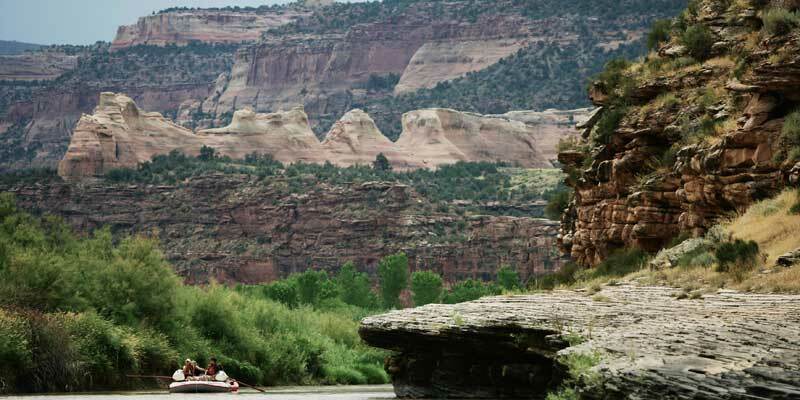 These trips are a great idea for those who want the beauty and thrills of a traditional Colorado River rafting vacation, yet only have a few days open for their river rafting tour. Our Westwater Canyon rafting trips are the ultimate two- or three-day getaway that will also have you home in time for work on Monday! Get this trip on your calendar today. Rapids like Skull & Sock-it-to-me! 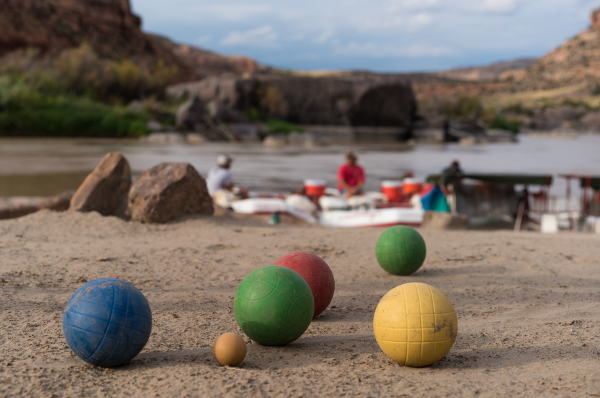 The Colorado River rafting trip in Westwater Canyon cuts through black-rock canyons in Southern Utah, northeast of Arches and Canyonlands national parks. On a three-day trip, you start in rural Colorado at the Loma boat ramp; on the two-day you start across the border in Utah from a remote ranger station. Both lead you to a take-out near the wild-west ghost town of Cisco. One of the advantages of a river trip is the flexibility of the daily itinerary. It can vary widely from one trip to the next based on group desires, Mother Nature, and courtesy for other groups on the river. The typical itineraries below illustrate a 3-and 2-day trip through Westwater Canyon on the Colorado River. Day 1: Meet at our headquarters (8:00 a.m., Mountain Time), and we will issue your waterproof bags. You can buy any last minute items from our accessories store at this time (see our packing checklist for a list of items you can find at our store). We will then jump in the vans for a two-hour ride to the put-in at Loma. Float leisurely through the desert scenery of Ruby Canyon. For those interested, inflatable kayaks or stand up paddle boards provide the opportunity to experience the river on a solo basis. 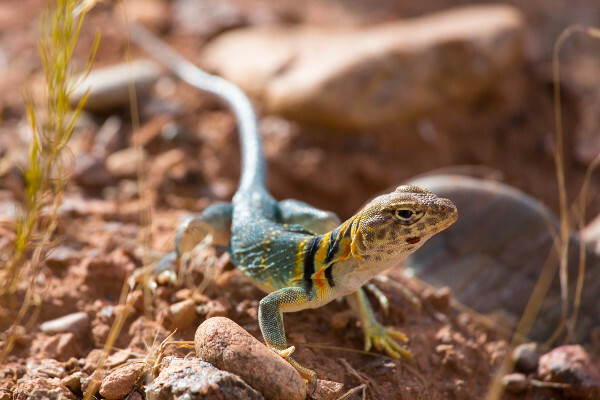 A side hike up Rattlesnake Canyon reveals a variety of desert plants and wildlife. Camp at Black Rocks where 1.7 billion-year-old black schist provides the background setting. Day 2: Enjoy peaceful floating and spending time in the inflatable kayaks before reaching Westwater Ranger Station. The river enters the narrow canyons that give Westwater the nickname, “the Little Grand”. 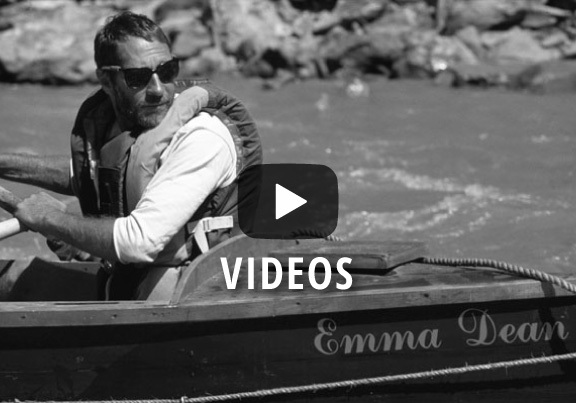 Small rapids begin to materialize along the otherwise peaceful stretches of the Colorado. Camp at one of the many beaches within Westwater Canyon. Day 3: Gear up for rapids–one right after another–Hunter’s, Funnel Falls, Surprise, and the big-names: Skull and Sock-it-to-me. Observe bald eagle, great blue heron and snowy egret habitats in the meandering flat-water below. Enjoy a short trip back to Green River. Our expected time of arrival back at our headquarters is 4:00 to 5:00 p.m.
Day 1: Meet at our headquarters (8:00 a.m., Mountain Time), and we will issue your waterproof bags. You can buy any last minute items from our accessories store at this time (see our packing checklist for a list of items you can find at our store). We will then ride to Westwater Ranger Station. Relaxing float to Little Hole Canyon’s natural amphitheater where Native American rock art can be seen. In favorable conditions, a short hike up Little Dolores Canyon reveals a beautiful desert waterfall and swimming hole. Camp near Little Dolores. Day 2: Leisurely breakfast before rapids of Westwater. Rapids, one right after another, Marble, Staircase, Hunter’s, Funnel Falls, and Surprise . . . lead to Skull Rapid, one of Colorado’s fiercest drops. Finish with Bowling Alley, Sock-it-to-me and Last Chance. Vans will return you to our headquarters in Green River at the end of the trip. Our expected time of arrival back at our headquarters is 4:00 to 5:00 p.m.
As mentioned earlier, this is a sample itinerary and should not be thought of as the complete trip you will experience. It is intended to give an idea of what the trip will be like, and could also be exactly what you do. Keep an open mind, be flexible, go with the flow, and enjoy! Everything worked out nicely and efficiantly! Mac and Travis were great and did everything possible to make sure our group enjoyed the trip. 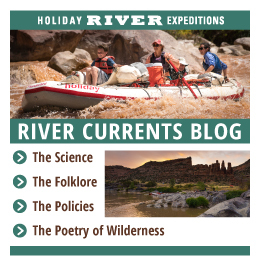 I had a fantastic time rafting the Colorado with Holiday River Expeditions. The guides were knowledgeable and did a great job making the trip fun. 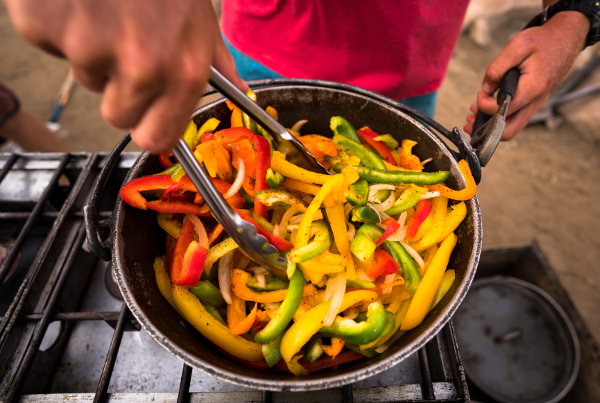 The food was great and the camping was excellent on the river. Holiday also ensured that we had as low impact/environment friendly camping.